Dr. Bruce Ashendorf (’81) has been named the DCG’s 2018 Distinguished Alumnus. 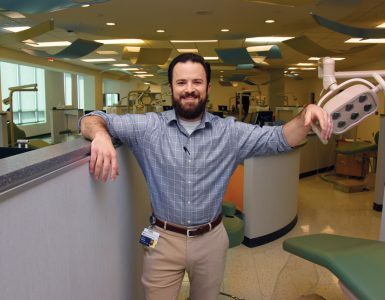 Ashendorf, who practices in the Atlanta area, is a member and past president of the Hinman Dental Society and Northern District Dental Association, Branch 6. He has chaired numerous committees of the Hinman Board of Trustees and served in several leadership roles in the International College of Dentists. He is a member of the Georgia Health Sciences Foundation Board of Directors and is a frequent volunteer in his community. Dr. Jack Fisher (Orthodontics Residency, ’82) has been certified by the American Board of Orthodontics. Dr. Edward Green (’83) has received the Georgia Dental Association Award of Merit, its highest award. Erick Pagan (’91), who practices general dentistry at Pagan Affinity Dentistry in Washington, Georgia, has authored a chapter on dental crowns for the upcoming book, “The Million Dollar Smile: Changing Lives with Cosmetic Dentistry” (Blue Ocean Publishing Group). Dr. Mitzi Morris (’93), who practices cosmetic dentistry in Roswell, Georgia, was featured as a 2017 Top Patient Rated Dentist by Find Local Doctors, a directory that recognizes physicians and dentists who have earned superior reviews from their patients. 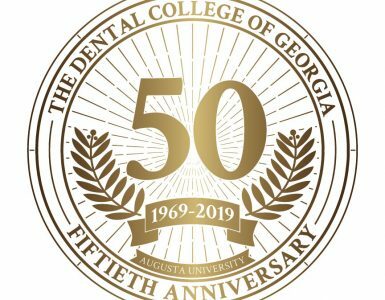 Dr. Scott McLaurin (’01) has been named president of the Georgia Dental Association’s Western District. Dr. Heather Colson Hardy (’04) has been named president of the Georgia Dental Association’s Southwestern District. 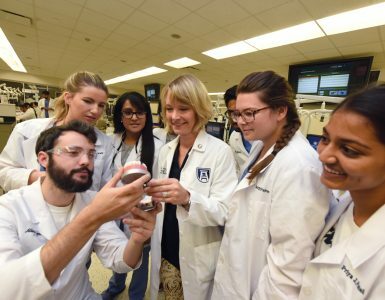 Dr. Amanda S. Merritt (’05) has been named an honorable fellow of the Georgia Dental Association. Fellowship is based on distinguished service to the GDA through active participation at the state and/or district level. Dr. Amber Lawson (’06) has been named a 2018 Augusta University JAG20 Emerging Alumni Leader. The honor denotes significant achievement among alumni still early in their careers. Lawson, who completed a general practice residency at the DCG after earning her degree, remodeled a bank building in Macon, Georgia, and opened her practice there in 2010. In addition to running her private practice, Lawson has been an adjunct clinical faculty member in the DCG General Practice Residency. She has been highly involved in the Central District Dental Association and has chaired the Georgia Dental Association’s Constitution and Bylaws Committee. She volunteers extensively in her community and served as class treasurer for all four years of her DCG education. Dr. Becky Martin (’08) has been named president of the Georgia Dental Association’s Southeastern District. Dr. Tommy Peterson (’09) has been named president of the Georgia Dental Association’s Central District. Shaunta’ S. King (’10), a certified public health dentist with a passion for practicing in underserved areas, published “The Day Jimmy John Dandee Lost All His Teeth” (CreateSpace Independent Publishing Platform, 2017), a children’s book teaching the importance of good oral hygiene. King received a 2016 Jag 20 Award, which honors Augusta University alumni under age 40 who have made a significant impact in their career, community and alma mater. Dr. Paul Trotter (’10) has been named a 2018 Augusta University JAG20 Emerging Alumni Leader. The honor denotes significant achievement among alumni still early in their careers. Trotter, who also completed an orthodontics residency at the DCG, is a board-certified orthodontist and partner in Trotter Orthodontics, with offices in Augusta and Evans, Georgia. He served as the 2008-09 president of the DCG chapter of the American Student Dental Association and is a member of the Georgia Foundation of Oral Health Board of Directors. He is president of the Eastern District Dental Association and has leadership roles in the Georgia Mission of Mercy, a dental outreach project. Dr. Brooke Elmore (’11) has received her mastership in the International Congress of Oral Implantologists and her fellowship in the Academy of General Dentistry. In 2011, she was voted as one of Augusta’s Top Dentists. Dr. Dylan Hamilton (’15) has received the 2017 Graduate Student Research Award from NuSmile for his study of silver diamine fluoride staining. Dr. Patrick Barnes (Orthodontics Residency, ’16) has been certified by the American Board of Orthodontics. Dr. Joseph Jones (Orthodontics Residency, ’16) has been certified by the American Board of Orthodontics. Dr. Amir Lemei (Orthodontics Residency, ’16) has been certified by the American Board of Orthodontics. Dr. Shelley Berganski (Pediatrics Residency, ’17) has received the 2017 Connie L. Drisko Resident Professionalism Award. The award, presented for the first time in 2015, honors the deceased former DCG dean, a well-known art lover. 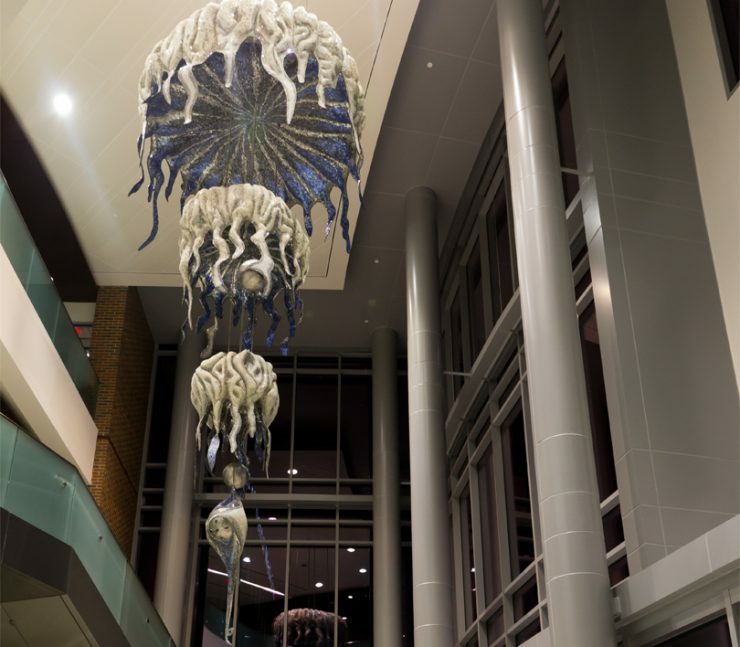 The award includes a blown-glass piece of art with the award recipient’s name engraved on it and a monetary award.